H.O.M.E. 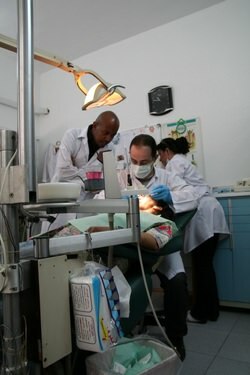 supports a medical clinic that reaches out to one of the poorest suburbs just outside Damascus. Due to Syria's now three-year conflict which the U.N. says has already claimed over 150,000 lives, H.O.M.E. is working overtime to meet the now growing emergency-based healthcare demands of its citizens and provide healing both physically and spiritually amongst the angst and fighting that continues to carry on. In past years, H.O.M.E. assessed the physical and spiritual needs of the Syrians in the Tabbaleh area in Damascus and responded to the Lord’s calling by opening a Bible-believing clinic. The clinic provides medical attention, basic necessities, as well as spiritual support and encouragement to those in the community. Through the help of several Bible-believing ministries in the area, a building was purchased near a church, and the clinic opened in June 2006. With over seventeen total physicians, nurses, dentists, and lab technicians on staff, the Tabbaleh Clinic offers specialties in cardiology, pediatrics, OBGYN, gastrointestinal, neurology, family medicine, orthopedics and dentistry at a minimal, almost free cost, to all patients. This outpatient clinic opens its doors to the community almost daily, serving both the Syrian and growing Iraqi refugee population. 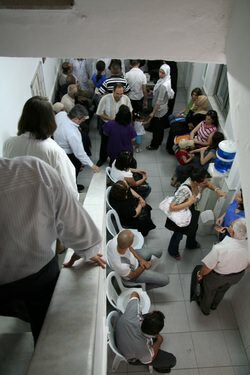 Before the conflict, the Tabbaleh Clinic would see an average 500 new patients, 100 dental patients and 150 lab and X-Ray patients are seen monthly with a total of over 7,000 patients seen a year. Due to Syria's now three-year conflict which the U.N. says has already claimed over 150,000 lives, H.O.M.E. is working overtime to meet the now growing emergency-based healthcare demands of its citizens and provide healing both physically and spiritually amongst the angst and fighting that continues to carry on.